Melinda Rose Textor, a partner of the firm, focuses on estate and trust administration, estate tax and fiduciary income tax planning and fiduciary accounting. Her practice includes preparation of wills, trusts, powers of attorney and health care proxies. She also prepares individual income tax returns and fiduciary income tax and estate tax returns. Melinda specializes in settlements of both trusts and estates upon the termination of their administrations, including preparation of executor and trustee accountings and all legal documents required for both informal and formal, judicial proceedings. 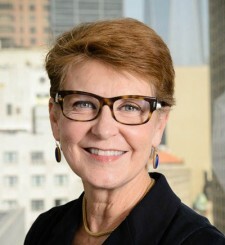 Melinda became of counsel to McCanliss & Early in 1994 after practicing as a trust and estates associate with two other New York City law firms. She became a partner in 2000.